It is always exciting to see different countries and regions respond to the trends and influences that occur daily around the globe, and India is no exception. The corporate real estate (CRE) profession has been talking about smart cities for some time, so with the Government of India now engaged and moving toward a smart city agenda, the corporate real estate world is poised for some exciting times ahead throughout India, within the context of business growth and the demand for CRE professionals. With a growing urban population, currently over 400 million and expected to grow to 800 million by 2050, India has the task of addressing accelerated urban population growth alongside developing infrastructure and built environments. We have learned that smart city agendas look different regionally, but the foundational principals remain the same regardless of location; livability, workability and sustainability. India’s focus during this period of rapid growth, is to address quality of life and ensure that urban residents have access to modern utilities and amenities, which provide necessary infrastructure for inevitable urban growth. 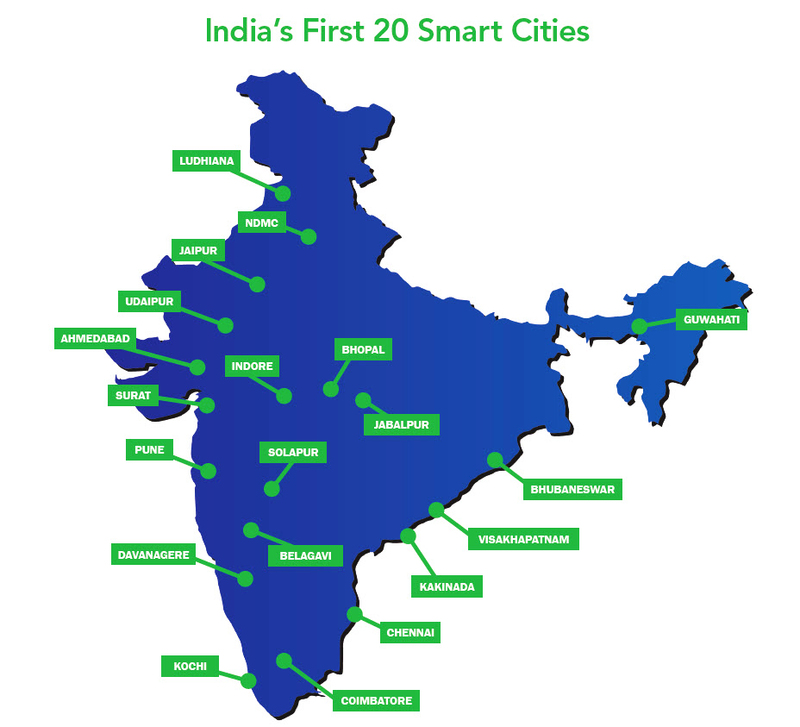 Through the use of technology, and informational data, India’s smart cities will look to utilize solar energy systems, expanded electronic banking, mobile phone services, and the internet to support the expansion of a smart city agenda.